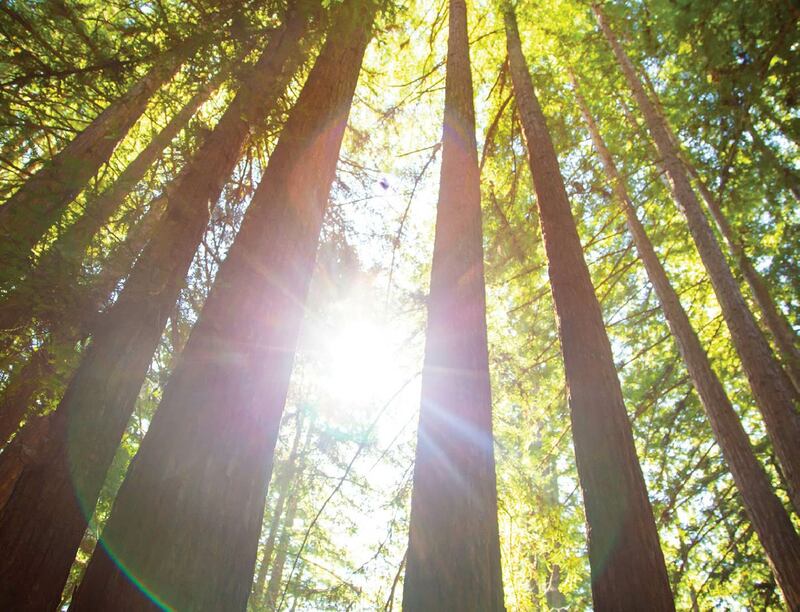 Join us for a variety of events held at Kennolyn or out and about in our community. May 20th, 7pm at New Brighton Middle School, Capitola. Join us for a free parent education event. Audrey Monke is a well-known writer, educator, camp owner, and host of a popular podcast. Her new book, Happy Campers: 9 Summer Camp Secrets for Raising Kids Who Become Thriving Adults, will be available for sale at the event. 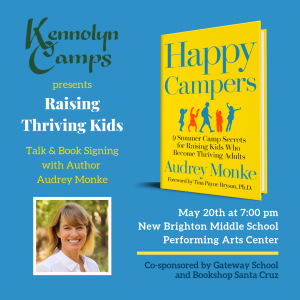 Join Kennolyn Camps, Gateway School, and Bookshop Santa Cruz as we welcome Audrey for a presentation titled Raising Thriving Kids. You will learn simple strategies to build connections within your family and give your children strong foundations for adulthood.